Next time you’re in Paris, skip the packed tourist centers and base yourself in a quieter, cooler part of town. Paris is designed like an escargot, with its 20 neighborhoods, called arrondissements, spiraling out from the city’s center point like the shell of a snail. Each area has a unique draw. The 1st is home to the Louvre, for example, while the 7th boasts . For a time, the 2nd Arrondissement was best known as the location of an events center that was once the stock exchange. And if that sounds less-than-thrilling, it's precisely why this neighborhood should be on your radar. The 2nd Arrondissement has long been underrated by travelers, meaning it's not a hot for tourists but rather a calm, chic neighborhood popular with locals. 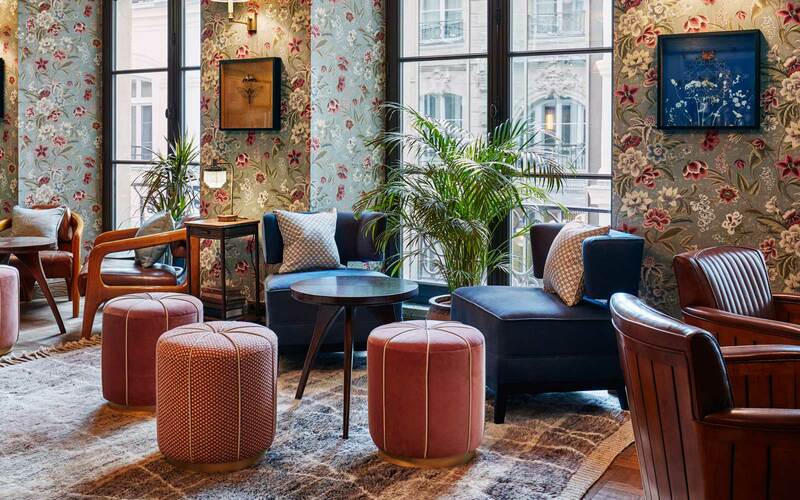 The relatively quiet streets are walking distance from major attractions including Notre Dame, the museums along the Seine, and Le Marais: the historic aristocratic district that's now synonymous with Parisian cool. It's not just the proximity to notable attractions that make the 2nd a noteworthy destination. Recently, the neighborhood has welcomed a clutch of exciting new , restaurants, and design-driven cocktail bars, making it a stylish area in its own right. 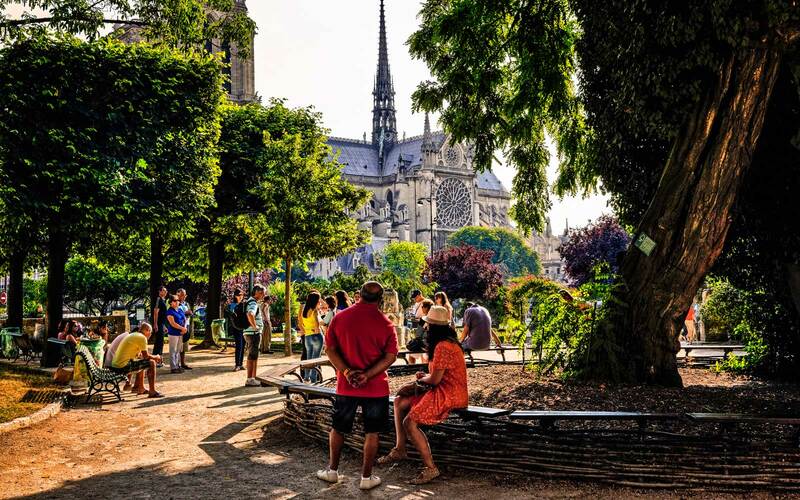 Of course, there are some landmark attractions that have always anchored the 2nd Arrondissement, like the nearby Centre George Pompidou and charming covered walkways. On your next , carve out time to explore this burgeoning neighborhood — or maybe even make it your home base. Having opened its doors in late August, the new Paris Hoxton is one of the youngest hotels in the area — sort of. The hotel is located in an 18th-century building, originally constructed for an advisor to Louis XV. They’ve taken pains to keep original details, including the façade and two 300-year-old spiral staircases. Like its Shoreditch, London counterpart, the Paris Hoxton offers a range of room sizes, with cheeky categories like Shoebox or the Biggy. All accommodations feature timber flooring, white tiled bathrooms with copper fixtures and exposed bulbs, and bright accent colors. 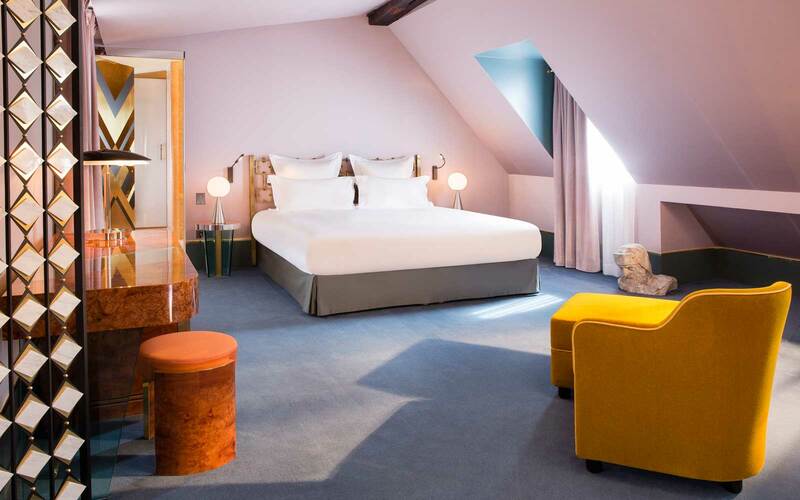 The rooms at Hotel Saint-Marc have ample space to spread out, but the rest of the experience at the small, 26-room boutique hotel is more intimate. Guests have access to an ‘honesty bar,’ where they help themselves and simply record what they’ve had, and the wellness center offers private bookings. After a solid night’s sleep in one of the quiet guestrooms, start the day with fresh juice, fruit, and pastries on the verandah. Another relative newcomer to the 2nd is the mid-sized Hotel Square Louvois, which has 50 rooms. Visitors can choose from a range of sizes, anywhere from single occupancy to a family room large enough to accommodate five (and with a variety of options for bed arrangements). The rooms are simple and elegant, with dark curtains, copper light fixtures, and houndstooth textiles. In addition to the standard breakfast, the hotel offers an afternoon tea for guests. Another perk: guests can request delivery from some of the major department stores directly to the hotel, making it easy to squeeze in shopping trips. The most difficult part of picking a restaurant in Paris is the sheer abundance of great options. 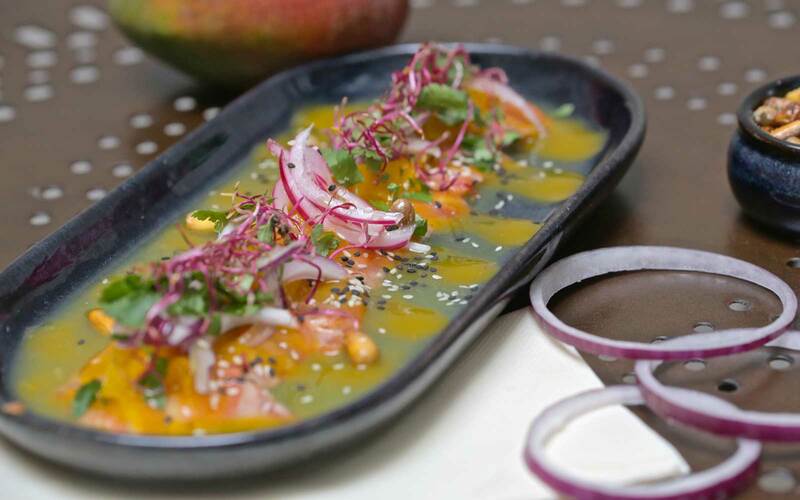 For a delicious meal in a relaxed, unpretentious atmosphere, head to Frenchie. The tiny restaurant’s friendly, accommodating staff are the perfect antidote to what you may have heard about the stuffiness of French dining. Don’t eat meat? Gluten-free? Pas de problème. It’s essential to book a table well in advance. For Italian, eat at Daroco, just down the road from Palais Brongniart. The menu is fairly simple, consisting of pizzas, pastas, and a handful meats — and they do all of it well. But the main draw is the atmosphere. Large chandelier bulbs, seafoam-hued velour curtains, and live greenery are amplified by mirrored ceilings and industrial, cement walls with exposed columns. The bar is centered in the restaurant, with balcony seating above. Across the road from Frenchie Restaurant is bustling Frenchie Bar à Vins. If you weren't able to land a reservation at the restaurant, this is a great way to experience the highlights. When Frenchie’s proprietor, Gregory Marchand, decided to open the wine bar, it was with the aim of having an establishment where people could more easily drop in. Due to its popularity, however, you should still expect to wait. This petit joint is just outside the 2nd, but only a short walk away. If you’re looking for a relaxed glass of wine or beer, this is the place to go. Unlike many of the sparkling, newer establishments, La Fusée feels French not because it’s dripping with style, but because it’s packed to the gills with Parisians. Order a charcuterie platter with French cheeses, olives, and cornichons. Whether or not you’re staying at The Hoxton, the on-site Jacques’ Bar is a great place to sip a late-night cocktail. The cocktails, wine, and beer have all been selected by a local group known for running some of the best bars in Paris. And if you’re craving something before 5 p.m., when Jacques’ opens, order a drink from the lobby bar and sit in the courtyard. Brasserie technically translates to brewery, but the ubiquitous corner establishments offer much more than beer. Though they serve food throughout the day, come here to people-watch while sipping a glass of red wine. Le Central’s location on busy Boulevard de Sébastopol, just south of the Metro stop, also makes it a great place to stop for a quick café-au-lait before heading out for the day. If you’re having just having coffee, make sure you bring cash — brasseries often don’t accept cards for small tabs. 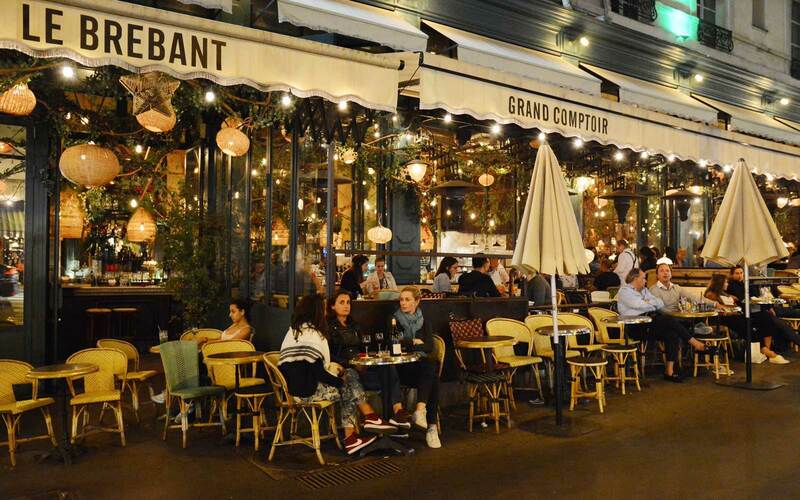 The draw of Le Brebant, just outside the Grand Boulevards Metro station, is its décor. The ceiling of the brasserie is draped with springy green vines, which somehow makes it feel welcoming and chic, rather than tacky. Have a quick coffee at the bar, or linger at one of the pavement tables for afternoon seafood plates. Along the stretch of road where Boulevard de Bonne Nouvelle turns into Boulevard Saint-Denis are Porte Saint-Denis and the slightly smaller Porte Saint-Martin. Though you won’t find the same crush of people that flock to the Arc de Triomphe, architecturally, these arcs are similarly impressive. They’re both worth a detour to see, but given that they’re on a main thoroughfare and adjacent to Metro stations, it’s easy to stumble across them without trying. Palais Brongniart, in the center of the 2nd Arrondissement, is historically the most well-known building in the neighborhood. It served as the stock exchange from its opening in 1826 until 1998, when the stock exchange moved offsite. Today it’s an events venue that hosts seminars and conferences. 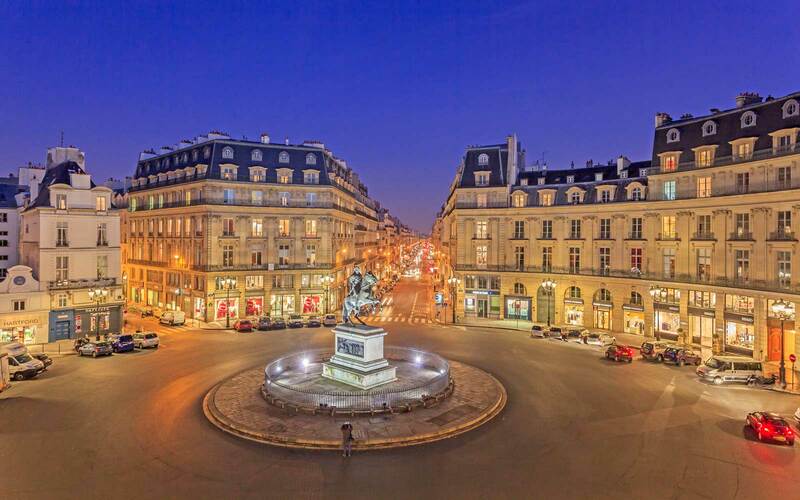 A short walk southeast of Place de la Bourse, circular Place des Victoires boasts a statue of King Louis XIV on horseback. The statue is surrounded by buildings with concave facades, offering a perfect backdrop. Despite the six roads converging at the roundabout, there isn’t much car or foot traffic through the ‘square,’ making it a calm and scenic place for a stroll. Though not in the 2nd, , perhaps Paris’ most famous museum, is within walking distance. This incredible museum is home to masterpieces including Venus de Milo and the Mona Lisa, making it a must-see even for travelers not particularly interested in art. Unlike Musée d’Orsay, the Louvre is simply too big to see everything in one visit. Plan in advance to figure out exactly which pieces you’d like to see, and make it out before dark to enjoy a stroll through the adjacent Tuileries Gardens. 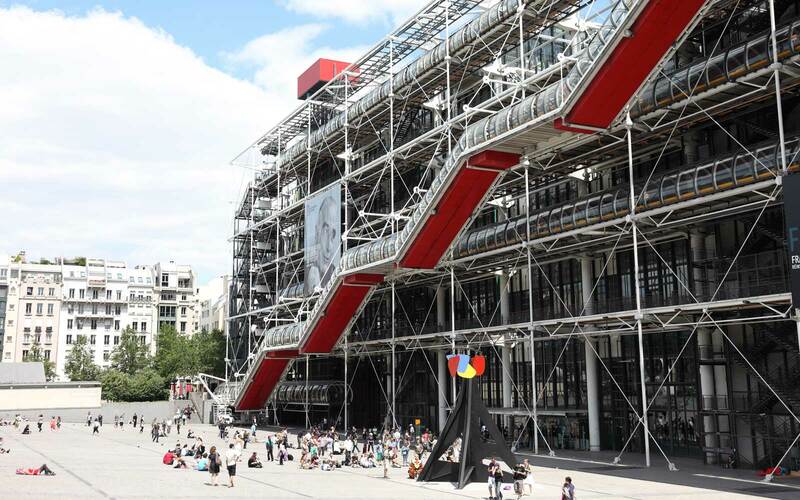 The Pompidou Center is a contemporary art museum located just outside the 2nd Arrondissement. With external scaffolding, brightly painted piping, and an airy, open-plan design, its style is in stark contrast to Paris’ best-known Haussmanian architecture. In addition to the unique design, the museum is home to a collection of more than 100,000 pieces. Insider tip: if you’re visiting on the first Sunday of the month, take advantage of free entry. There are guided tours, or guests can wander freely through the exhibits. 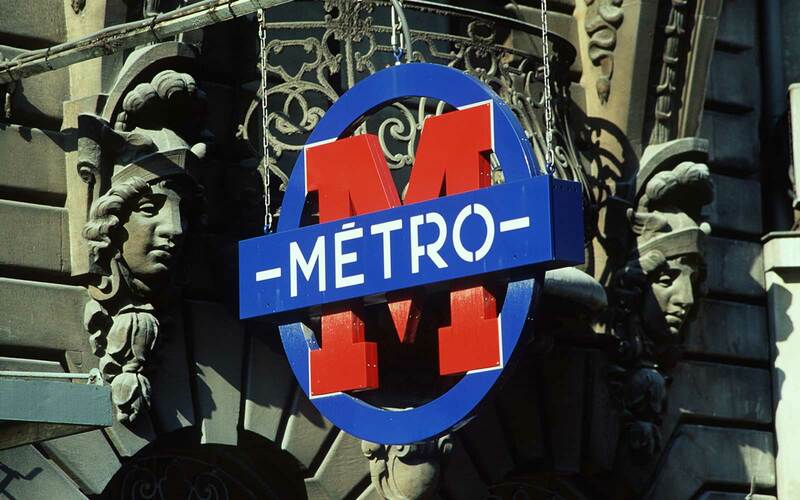 One of the easiest ways to get around is by using the underground train system, called the Metro. Though it may look elaborate, it’s actually fairly straightforward. Because the trains don’t necessarily travel directly north, south, east, or west, directions are noted by signs naming the last station where the train will stop. In the 2nd, or just outside, you can catch the 3, 4, 7, 8, and 9 trains. This charming little toy shop is perfect for people traveling with children, or for those picking up a souvenir for someone at home. 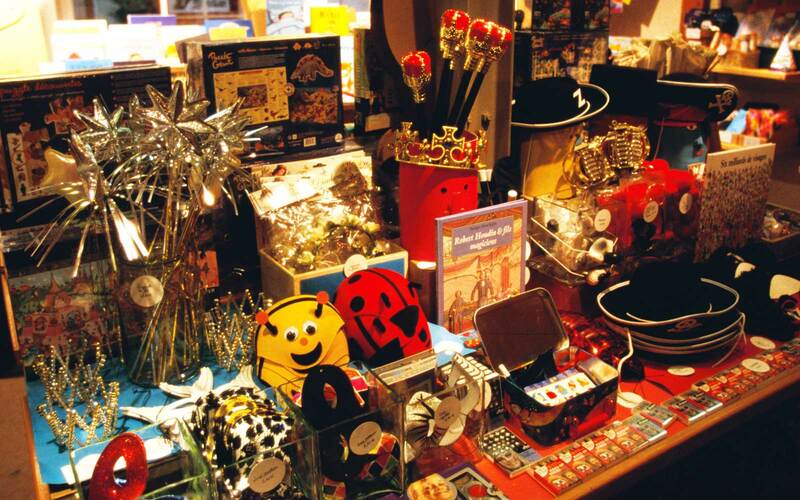 The store’s philosophy — that play makes children smarter and happier — is obvious in their selection of high quality, educational toys. The shop is also located in beautiful Galerie Vivienne, a covered passageway, which itself is a notable point of interest. The line at French it-girl label Sézane is filled with crisp white shirts, soft sweaters, and sleek clutches. It’s best known as an online boutique, but lucky locals — or visitors — also have the option of going to one of the brick and mortar locations, all of which are in the 2nd Arrondissement. There’s l’Appartement, where shoppers can try the newest pieces or buy from last season, La Librarie (which focuses on the leather collection), and La Conciergerie, which is exclusively for those retrieving or returning online purchases. Legrand is part wine bar, part gourmet grocery, and a fully Parisian institution: the first iteration opened in 1880. Stop in to collect a few bottles of wine and other delicacies to take home. Be sure to sample a few glasses before making your purchase. 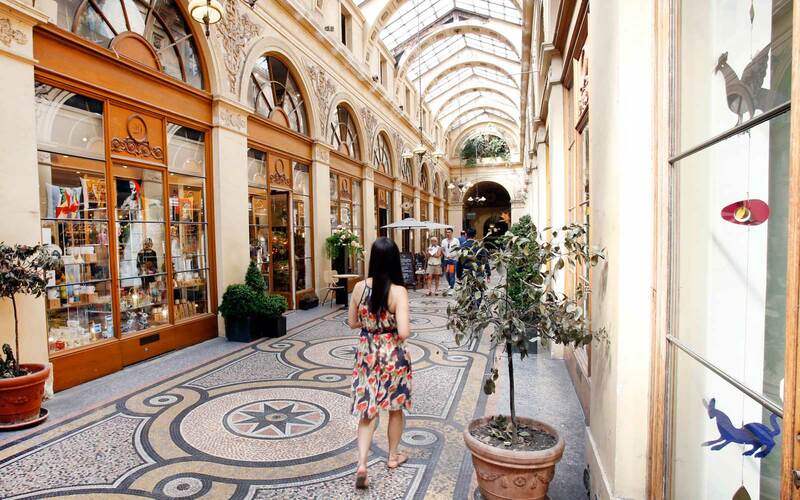 Passages des Panoramas is Paris’ first covered walkway, and has been a commercial center since the early 1800s. There are a handful of eateries, and plenty of small collectors selling postcards and used books. Galerie Vivienne is another covered passageway, which has landed on Paris’ list of historical monuments. It’s home to a collection of boutiques and restaurants, but its architecture is the main reason to visit. It’s a perfect place to walk regardless of the weather, because the glass roof shelters pedestrians from the rain while still letting sunlight soak through on clear days. Even for those who’ve spent plenty of time in Paris, the Eiffel Tower is an attraction that doesn’t get old. From the 2nd, hop on the 9 line toward Pont de Sèvres and get off at Trocadero for a perfect view of Paris’ most famous landmark. Montmartre has long been home to artists from around the world, and it still maintains a bohemian feel. At the base of the hill, check out institutions like the Moulin Rouge and, at the top, the breathtaking Basilica of the Sacred Heart. Though it’s easy to get here by Metro with one connection, the walk is only about 30 minutes and quite pleasant, if slightly uphill. Notre Dame, one of the best known cathedrals in the world, is a 30-minute walk in the opposite direction. Go early to miss the crowds, then wander along the quays on the Left Bank to the Fontaine Saint-Michel before weaving through narrow cobblestone streets into the Latin Quarter.